According to the dictionary an atheist is a person who disbelieves or denies the existence of a supreme being or God. It seems that humans were born with the innate ability to ponder the existence of God, but it’s only through the separation of the conscious mind that one chooses to be a believer or non-believer. Maybe atheism came to be as a “Duality” to dogmatic religions as a form of opposition and separation to religion and God. 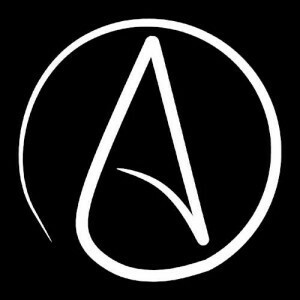 I believe that atheism is the lack of understanding of the existence of a universal mind. The universal mind is also known as God. Coincidentally, the existence of atheism is 100% dependent on the existence of a God, because it is psychologically impossible to question something that does not exist. 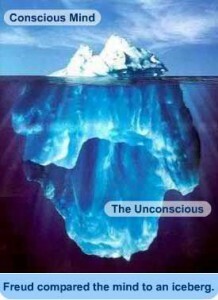 Hence, describing the unconscious belief of God. This is similar to the example of a blind man who cannot describe the color blue. Just because he cannot describe the color, does not mean that it does not exist. Many atheists consider themselves to be freethinkers, but ironically they are not free enough to think of the existence of a living God. Atheism may be the perfect example of cognitive dissonance. Cognitive dissonance is when something does not fit into the mold of what a person is believes so they automatically claim that it must be false. There is no difference between an atheist who does not believe in a universal mind and the people who once believed that the world was flat. Atheists claim to believe in science and or be scientifically inclined, but have failed to understand or attempt to understand the science of quantum mechanics, the science of psychology, the conscious, subconscious and “the Unconscious Mind.” Scientifically speaking of God is the unified field. It seems to be that what is believed or not believed by atheism is only the result of what can be perceived by the LIMIT of the conscious mind or five senses. Atheists only falsely believe that their partial understanding is a complete understanding of reality and in a sense it is in their world. Atheism seems to be focused on the negative and unfortunate events that have happened and that are happening around our world and because of this atheists question the existence of God. Do not be misled on the idea of God just because there is no intervention from a fictitious entity or supernatural being who supposedly is to exist as a separate entity from us. That latter idea is brought through “The Ego” and our collective consciousness. Through our collective consciousness we create our reality regardless of belief or non-belief, regardless if you are an Atheist, Muslim, Jewish, Christian, Buddhist, Satanist, ect. So stop blaming God or questioning God, for our own collective unconscious. Stop waiting for intervention of any kind and take responsibility for your own consciousness. However, do keep in mind that all matter is energy as described by Albert Einstein in his famous equation of E=mc2. In short an atheist is merely a person who has failed to look within to find God. Yet atheists continue to question or attempt to prove the lack of existence of a living God. Please watch the video below for a glimpse on understanding the universal mind, Open your mind.